As part of the effort, the strategy calls for sharing more “actionable cyberthreat intelligence to support the defense of vital information networks and critical infrastructure. U.S. intelligence agencies trying to plot their course for the next four years are facing an ever more chaotic world, complicated by a weakening of the Western-led international order, rapidly changing technology, and persistent worries over uncertain funding. The plan, outlined Tuesday in the new National Intelligence Strategy, offers what top intelligence officials describe as both “monumental” and “fundamental” improvements over the previous strategy, and is designed to reassure Americans in uncertain times. Part of that difference will be a renewed emphasis on transparency and “speaking truth,” Director of National Intelligence Dan Coats told members of the intelligence community while unveiling the strategy. Director of National Intelligence Dan Coats testifies on worldwide threats during a Senate Intelligence Committee hearing on Capitol Hill in Washington, Feb. 13, 2018. Former intelligence officials have been quick to blame U.S. President Donald Trump for both, citing his apparent willingness to cozy up to adversaries like Russian President Vladimir Putin while at the same time criticizing allies on the world stage. When asked Tuesday whether the report, and calls for speaking truth, were meant as a rebuke for the president, top intelligence officials said only that the trends had been gaining momentum for some time. “We were looking at a number of these factors,” a senior intelligence official said, pointing to the increase in isolationism along with rapidly changing alliances. “There were things you could see coming,” the official added. U.S. intelligence officials also warned concerns about the collapse of the post-World War Two order is just part of a growing turbulence that includes a proliferation of advanced technology that has enabled adversaries, big and small, to close the gap on Washington. “We see Russia pursuing, with a vim and vigor that I haven’t seen since the ’80s, capabilities to reach us,” a second senior intelligence official warned. China also is catching up, both with investments in technology and with its concerted campaign to steal industrial secrets and appropriate them for military use. “They’ve just compressed the timeframe in which new systems can be introduced,” the official said. 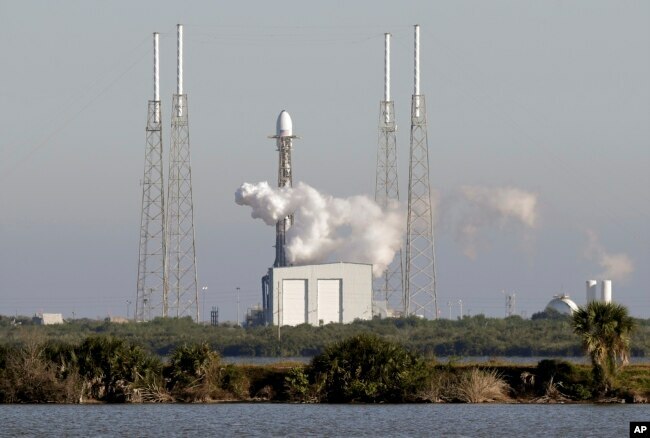 And while much of the competition with Russia and China has played out in cyberspace, the new intelligence strategy warns the competition over outer space, once dominated by the U.S., is gaining momentum. Russia and China are pursuing “a full range of anti-satellite weapons, which could degrade U.S. intelligence gathering abilities,” it said. U.S. officials are additionally concerned about the impact of biotechnology and nanotechnology, which are becoming more readily available and which will also likely be weaponized – and not just by adversaries like Russia, China, Iran and North Korea. ​”The ability of individuals and groups to have a larger impact than ever before — politically, militarily, economically and ideologically — is undermining traditional institutions,” the strategy warns. There is also growing concern among intelligence officials that some of the threats are ready to merge, whether as sudden alliances between near-peer U.S. adversaries like Russia and China, or agreements between nation states looking to outsource some of their dirty work and criminal actors. To counter that, U.S. intelligence officials are putting a premium on partnerships, both with traditional allies and with the private sector. 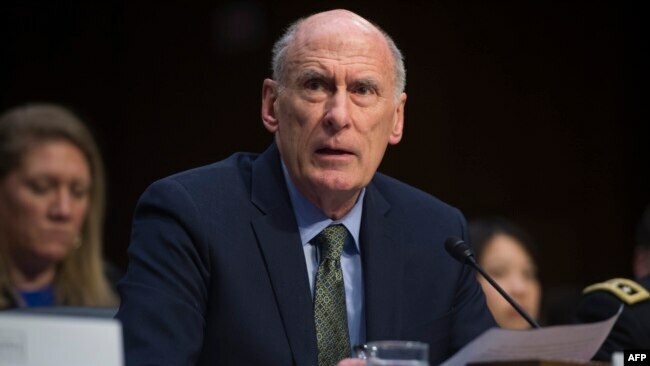 “We simply cannot ignore the advantage that partnerships outside the federal government bring,” Director Coats said Tuesday. Other top officials said in the case of partnerships with private technology companies, the Intelligence Community is hopeful the emphasis on transparency can help. “This is a world that demands us to have a different conversation,” a senior intelligence official said, noting the intelligence community has already been making a greater effort to share threat assessments with private companies, especially in cyberspace. The release of the new strategy Tuesday comes with the U.S. government still mired in a monthlong partial shutdown. And while the key U.S. intelligence agencies are funded through the end of September, the strategy warns the failure to provide stable budgets could put U.S. intelligence efforts at risk. “Continued federal budget uncertainty strains the IC’s [Intelligence Community’s] ability to make deliberative and responsive resource decisions,” according to the new strategy.